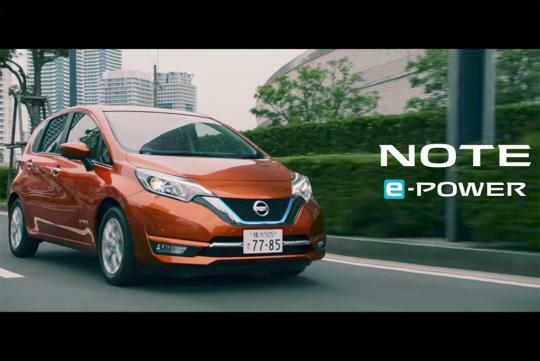 Nissan has come up with an interesting ad for its new Nissan Note e-Power. Marketed as an solution to in-car abuse, the car can help save drivers from being hurt by their passengers. While the driver abuse problem shown in the ad is obviously fictional, it is still true that some drivers on the road have poor control over their braking and will tend to stomp on the brake pedal harder and later than they should when coming to a stop. Using the Note's regenerative braking function, Nissan reckons that it can help smoothen out the braking process and in turn prevent passengers from having a uncomfortable ride. The Note e-Power is not available in Singapore and is a full electric vehicle. The compact hatch retains its 1.2-litre three-cylinder engine which acts solely as a generator to charge the batteries. It is rated at 109bhp and has 254Nm of torque. It will also do 34km/L according to Japan's JC08 test-cycle. The driver deserved the slap. lurching forwards. He is not a gentleman. With one or two hands? I'd wished she'd hold onto my stick to shift to lower gear first tho...lol..
japan is the "traffic-light country" ... then Singapore is what ?